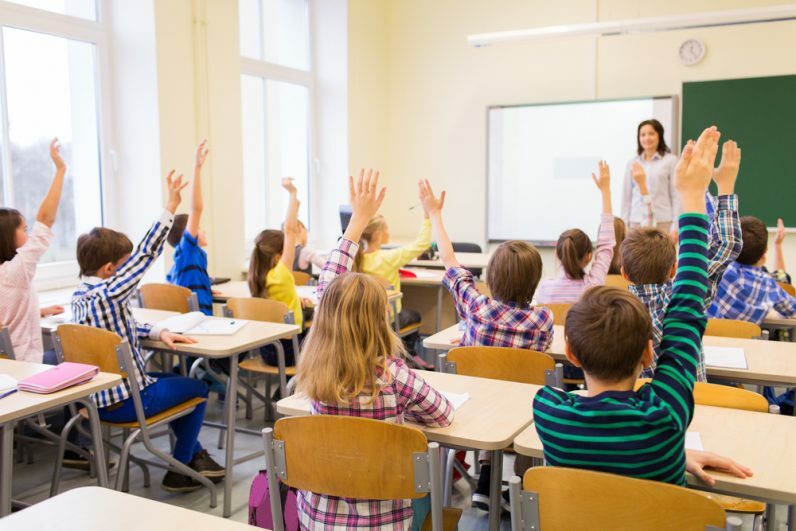 As many teachers already know, students are more likely to understand and retain information when it’s displayed through a combination of words and imagery. Mind maps offer a fantastic format that combines not only words and images but also colors, a graphical structure, and other mental triggers that improve longterm memory. This article aims to give you ideas on how to teach mind mapping to students in order to help them memorize information, unleash their creativity, write better structured essays and more. So What’s Mind Mapping All About? Research from author and visual thinking expert Nancy Margulies found that when children learn to write down concepts on lined paper, rather than visualise concepts mentally, their creativity begins to fade. Evidence shows that mind mapping helps students reignite their creativity, promoting ideas through association and introducing an engaging, visual and memorable approach to learning. In order to teach mind mapping to your students, it’s obviously important that you first get acquainted with the technique yourself. A great place to start is our article about how to draw and read mind maps, followed by the fantastic article by teacher Toni Krasnic which showcases how mind maps help students go from merely collecting dots to connecting dots. 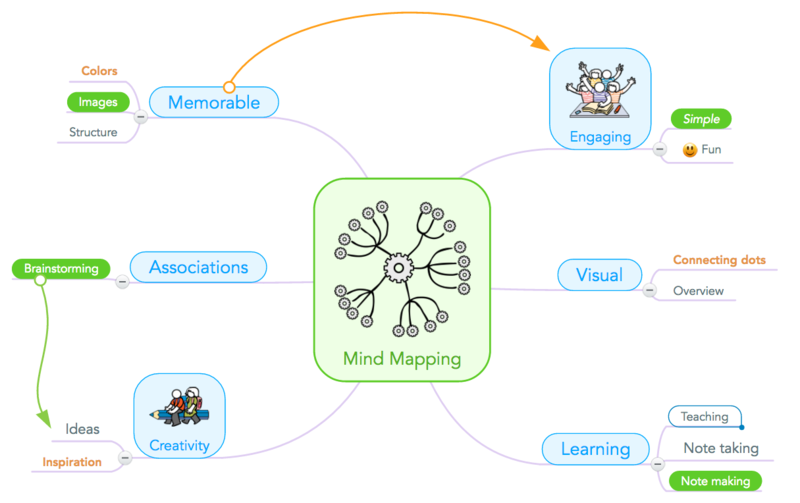 Once you’re familiar with mind mapping yourself, it’s time to introduce it to your students. During class, begin by writing ‘I work best when…’ in the center of the board. Get the ball rolling with a few examples – ‘I work best when I’ve recently played sport’ or ‘I work best when I’ve sketched out my ideas using colourful pens’. Write each example on a new line that connects it to the center. Now invite your students to provide suggestions, and add them to the board as they are given, connecting each suggestion to the center with a new line. You’ll soon end up with a basic mind map. Perhaps students have used mind mapping to prepare for an assignment before and thus recognize the format. If not, introduce the concept and discuss some of the benefits with them. 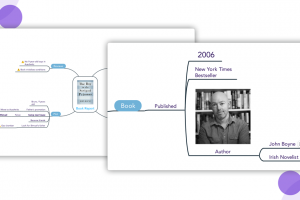 On the projector you could also share with them how authors have used mind mapping to build their stories and plan historical timelines in a creative yet organised way. If students have access to the internet, direct them to MindMeister’s free online mind map training, which will teach them the basics of mind mapping and provide them with simple exercises to get familiar with the technique. To get started, the ‘Fundamentals’ chapter will be all they need. 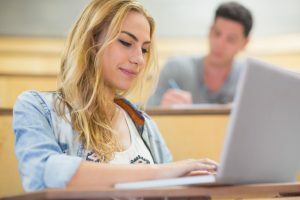 Essay writing is an often dreaded assignment among students, and they’re sure to be grateful for learning a new trick that will make the task easier. As it so happens, one of the best uses of mind mapping in education is essay writing. 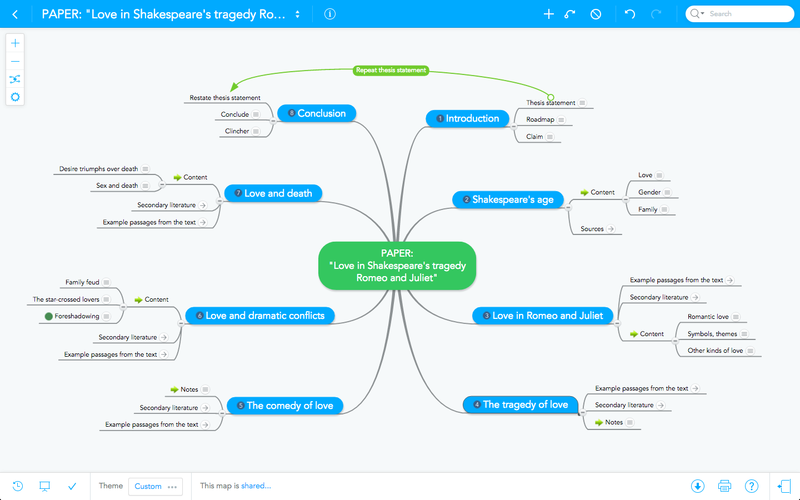 Using mind maps, students can easily brainstorm ideas for the topic of their essay; they can collect arguments, quotes and other information from various sources; and they can visually outline their essay structure. 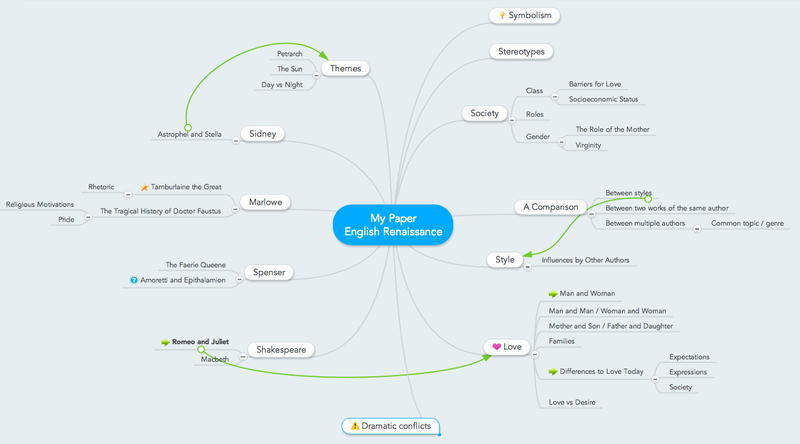 Students are sure to warm up to the mind map technique once they see how much easier it is to write an essay when they’ve first visualized all their arguments and created a proper structure for them. We’ve put together a step-by-step guide on essay writing with mind maps, which you can study before introducing the ideas to your class. 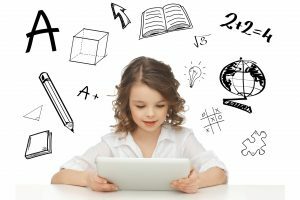 Assess pupil progression by setting your pupils the task of creating their own mind map for homework, using a home or school-library computer. A simple brainstorming is a good way to get them started as there are no right or wrong ideas and students are completely free to note down any and all thoughts related to the topic they are given. So if you’re planning on giving students a writing assignment about a certain topic, ask them to brainstorm ideas for the essay in a mind map first. 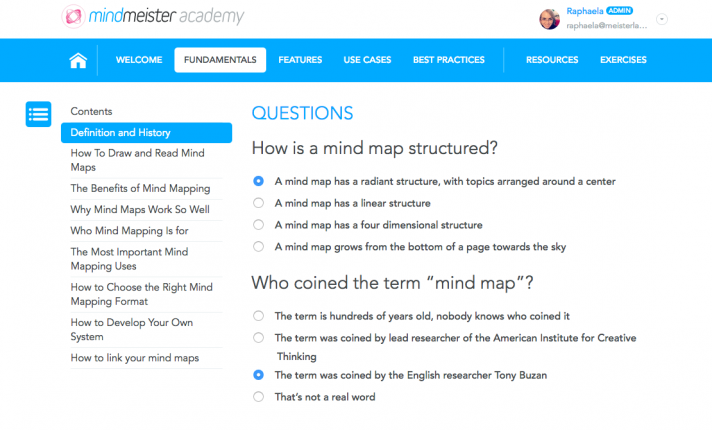 We hope you now feel ready to teach mind mapping to your students and thus provide them with a valuable skill they will benefit from for the rest of their life. 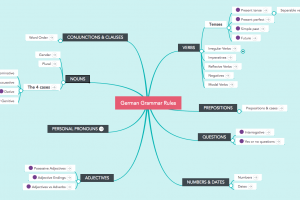 Besides essay writing, mind mapping can be helpful for all kinds of educational tasks such as note taking, creating engaging presentations, and more. 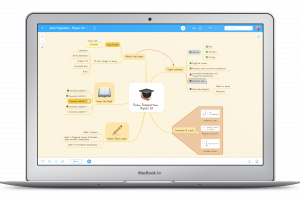 MindMeister Education school packages start from as little as $1 per month. For more information, visit the MindMeister education page.